As the original location for the infamous and historical Fort McKavett, the Head Waters ranch combines a wide variety of recreational, and ranching opportunities. Multiple spring fed watering holes as well as several ponds provide more then adequate water for livestock and wildlife. The terrain of this one-thousand-two hundred and fifty- six acre property consists of gently rolling pasture land, with a variety native grasses, and vegetation. 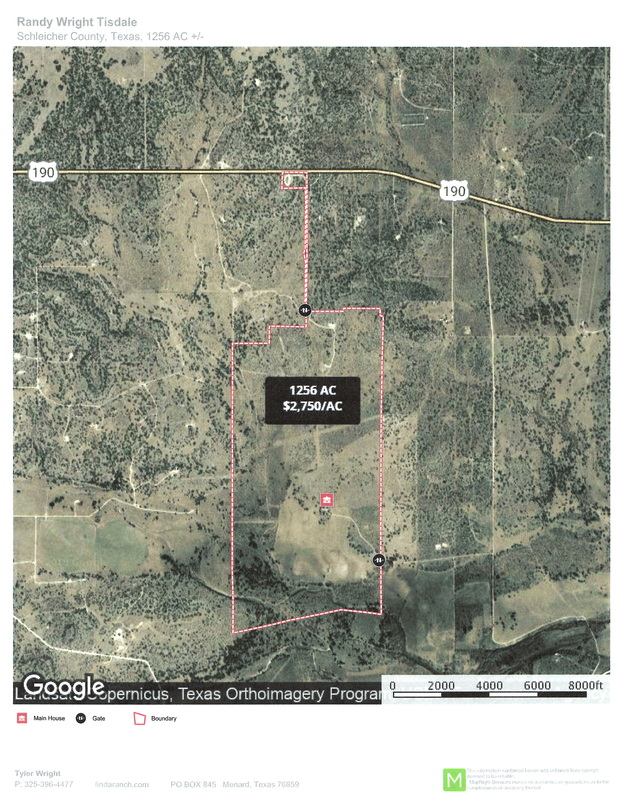 There is approximately 100 acres of good fields and over 1000 native pecan trees located along the North Valley Prong corridor of the San Saba River. Excellent caliche roads and gravel bottomed low water crossings allow for easy navigation throughout the ranch. In addition to the natural occurring water, there are also four active water wells situated across the ranch. The Headquarters of the property is made up of a variety of extremely well built living quarters constructed of beautiful native rock. One large, two sided equipment barn with five thousand square feet under roof, provides more then enough space for all sizes of tractors, trucks and atv’s. The headquarters of the ranch are also supplemented by several small equipment barns, multi-purpose pens, and a smoke house for preparing meats. Wildlife on the Head Quarters Ranch is diverse and abundant. Consisting of Whitetailed deer, wild turkey, axis deer, and a variety of game birds and migratory waterfowl. The fences on the Head Waters ranch are considered to be better then adequate with several cross fences and the south side of the property high fenced and game proofed. Easement access on the north side of the ranch is conveniently located off of HWY 190 between Eldorado and Menard.